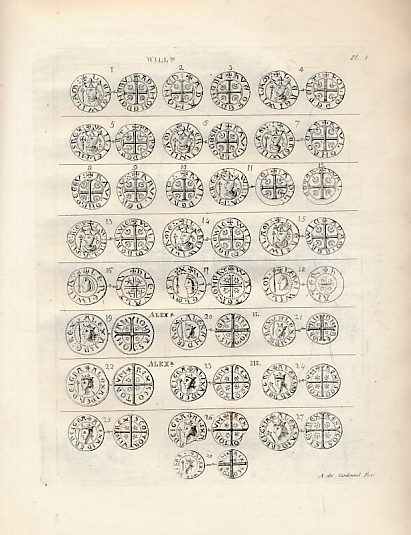 Barter Books : de Cardonnel, Adam : Numismata Scotiae or a Series of the Scottish Coinage from the Reign of William the Lion to the Union. 330 x 250 mm (13 x 10 inches) - 157pp, 33pp + plates. Worn condition. Cover rubbed and soiled with splits to hinge. Content in good condition.